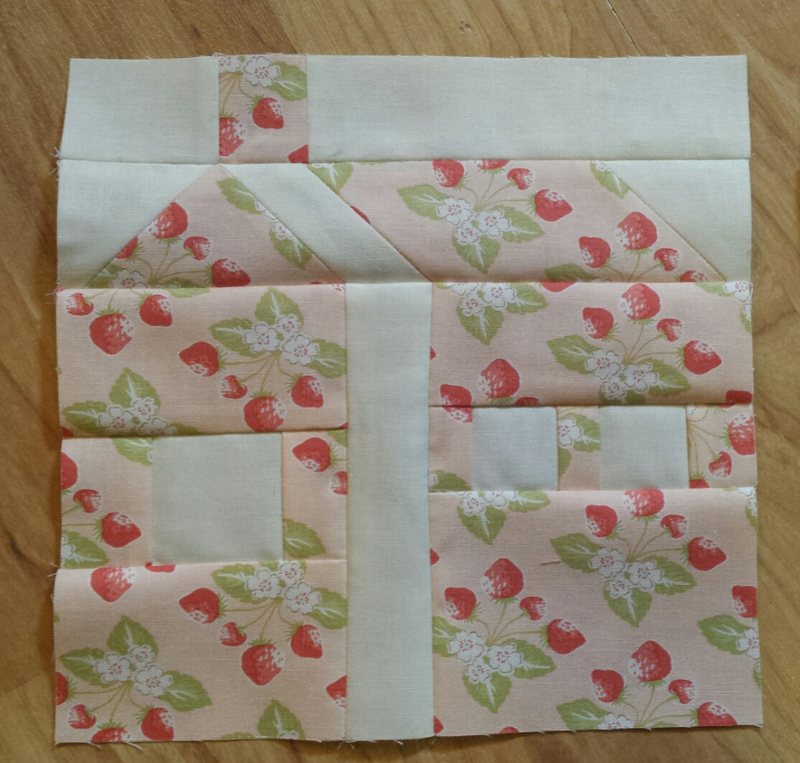 The first block, The House Block, is out! If you are using the kit available from The Fat Quarter Shop, you will be using these four beautiful fabrics from Strawberry Fields Revisited from Fig Tree Quilts, along with the background. Aren't they just scrumptious? I am totally in love with the strawberries on pink. Of course I am partial to green, especially this green. And then that yellow with the sweet rosebuds. I love it all! I have to share this picture with you. I love a selvage with a cute little something on it. The strawberries alone are adorable. The added words take you to another place. "On a sunny afternoon she skipped through the strawberry fields." I can see a little girl, dress and hair blowing in the wind, skipping through the fields. I love warm summer days. Before cutting these out I sprayed my fabric with starch. I use Best Press, non-scented, but you can use whatever starch you like. 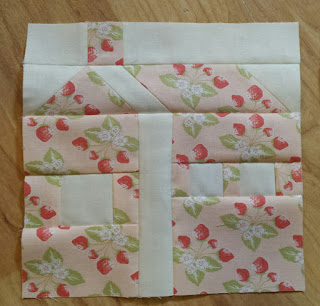 I find, especially with Block of the Month type patterns, that starch helps keep the smaller pieces from stretching and throwing your blocks off. Yes, I am missing "D". I did cut them out, but somehow they didn't make it into the family photo. You will see lots of pictures with all the pieces cut out, and labeled very prettily with letters. I know myself well enough to just stick with writing them down on scrap paper. I would lose those pretty letters in a New York Minute. "Organized" is not my middle name. So plain slips of paper it is. I have a picture of the pieces out and ready to become these beautiful houses, but I had the chimney piece flipped and I didn't want to confuse you. Thankfully, I sewed them correctly. I did rip out the pink and yellow chimney strips, twice, to get that chimney to line up, and I am happy with how these turned out. 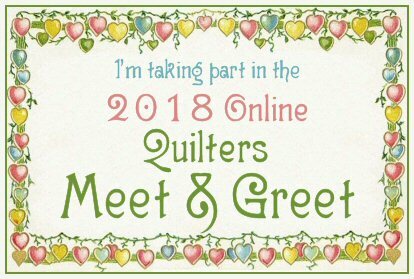 There is still plenty of time to join the fun! 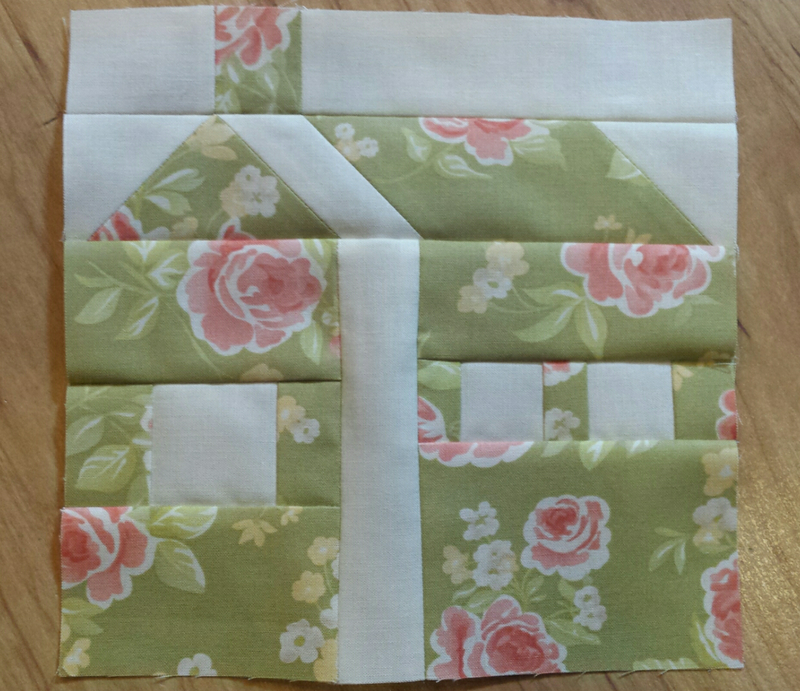 Head over to The Fat Quarter Shop blog to get all the information and to download the house pattern. Each month, on the 15th, the a new set of instructions will be posted. They just ask that you donate $5 to March of Dimes for each download. What could be better, a free pattern and helping sweet little babies? 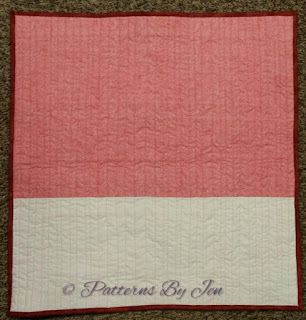 Have you heard of the Crossroads Quilt Along hosted by The Fat Quarter Shop to benefit March of Dimes? 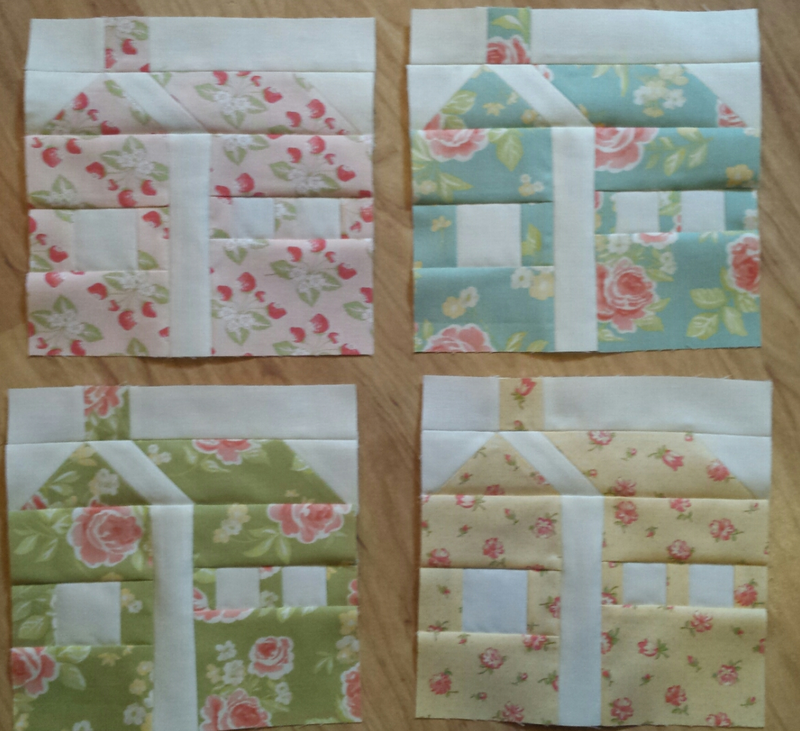 I am joining the Crossroads Quilt Along and will show you my progress here. Each month, starting February 15 (which is soon!) 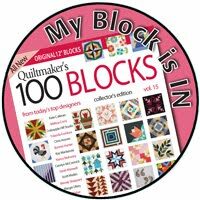 and running through September 15th, The Fat Quarter Shop will post instructions for a new block. The instructions are free, they just ask that you donate $5 to March of Dimes when you get the block. Easy Peasy. And what a great way to benefit all those precious babies that need a little help at the start of their life. 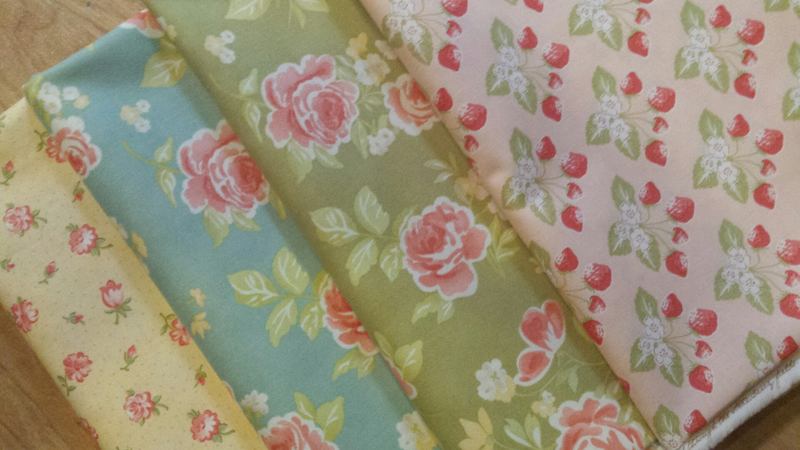 You can choose your own fabrics, or order the kit that The Fat Quarter Shop has put together. I *just* ordered mine. So there are a few left. Hopefully my piecing skills are more on top of it then my ordering skills. They also have a backing kit available. 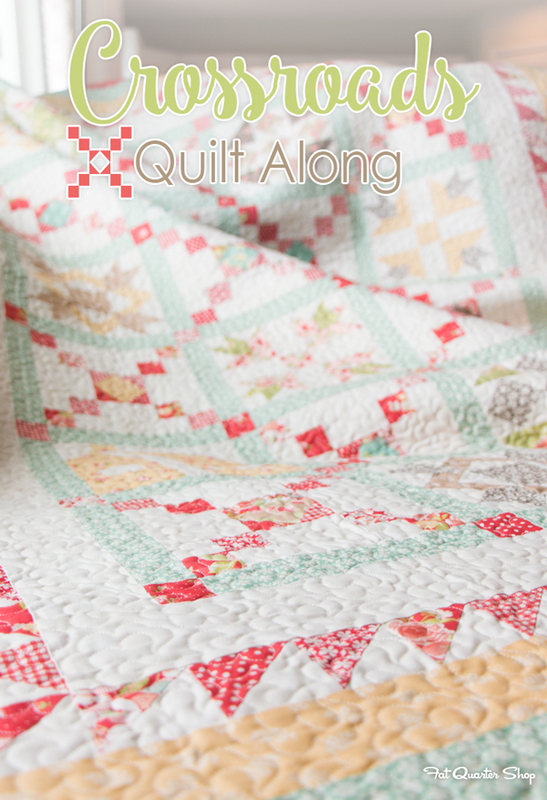 One full quilt, and helping precious babies at the same time. What could be better? 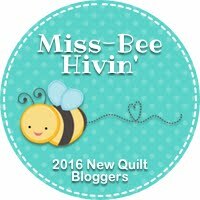 You can follow The Fat Quarter Shop and their Crossroads Quilt Along on their blog and Facebook page. And you can add your donation at their donation page. 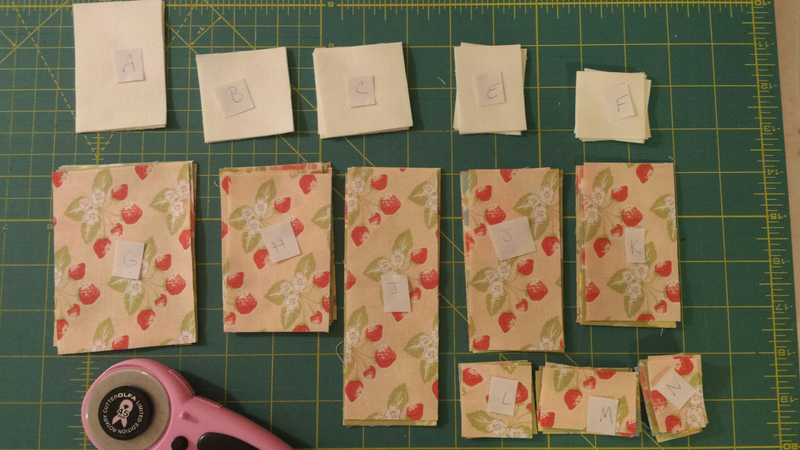 I am excited to sew along! 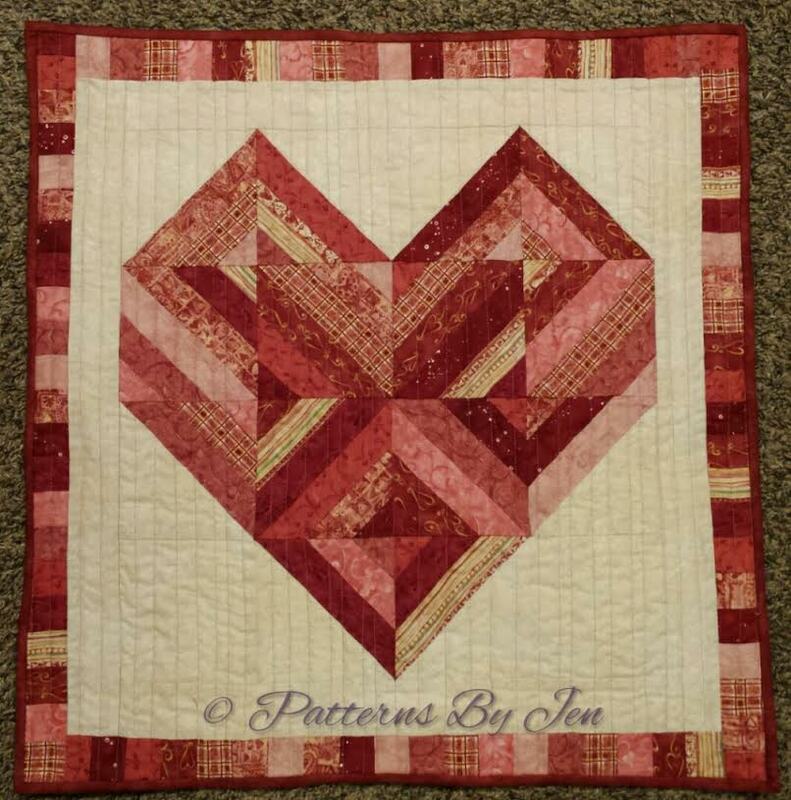 This Picked By Jen comes from The Sassy Quilter and is called "Feel The Love". 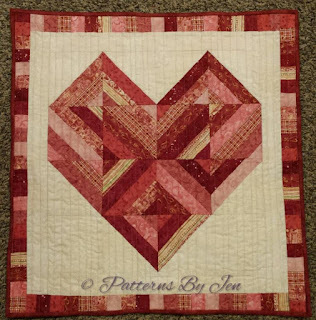 I pinned this tutorial when it came out in 2014, and pieced it right away. However it sat without the pieced border for another year. 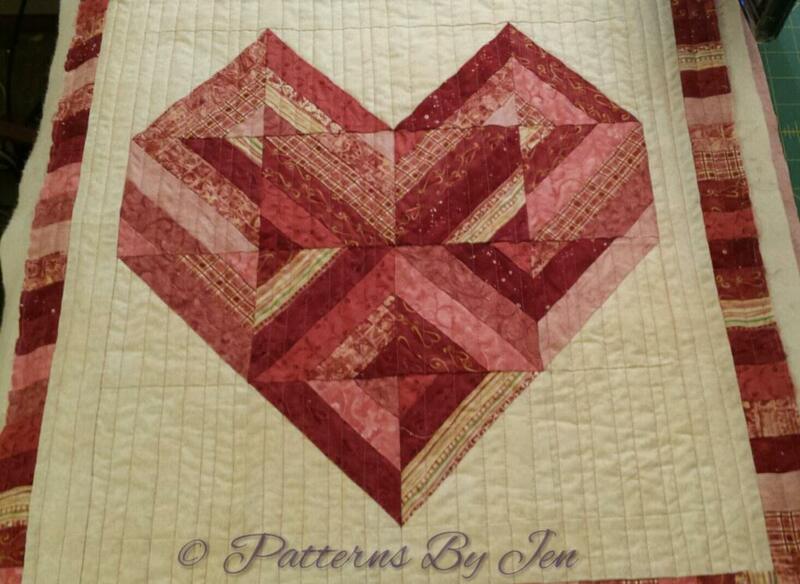 A year later I added the pieced border. 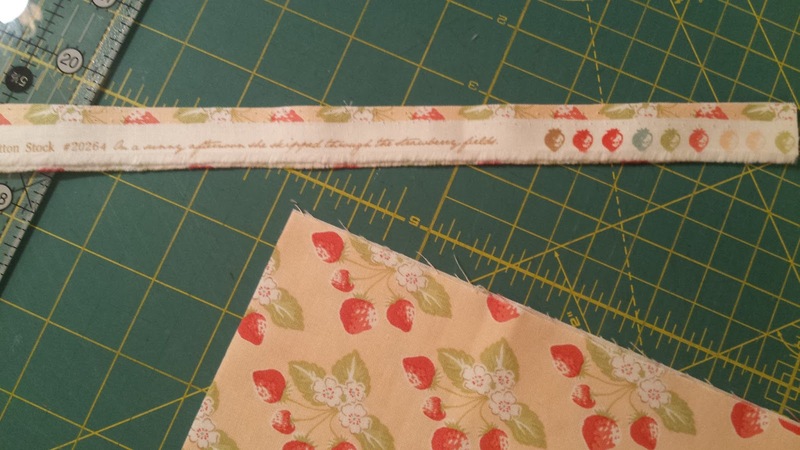 After sewing your 10" strips together you will be trimming off a 3 1/2" section. I trimmed those down to 2" strips, pieced them together end to end, to get the striped border. I adore it. A year after that it is now quilted and ready to be hung. Before quilting I did a quick basting stitch around the outside so those seams wouldn't get pulled apart. 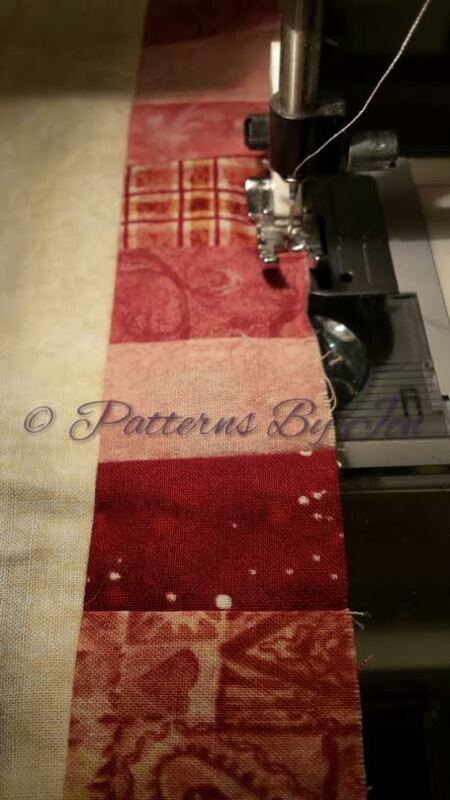 I lengthened my stitch to 3 and stitched about 1/8 inch from the edge. When I added the binding those stitches were hidden and I didn't have to rip them out. Bonus! 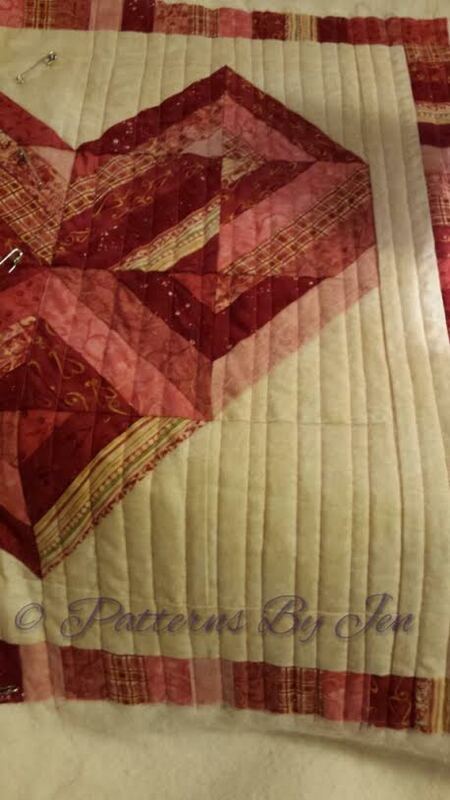 I loved the look of the straight lined quilting and decided to do that on mine as well. I didn't feel like marking all of those lines and chose to deliberately make them different widths apart I used my walking foot and started from the middle and worked my way out. 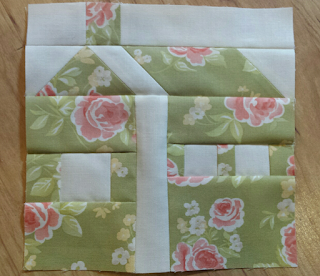 Hoping to keep it from stretching and a getting tucks on the backside, I would stitch down one way, turn and stitch back the other way. 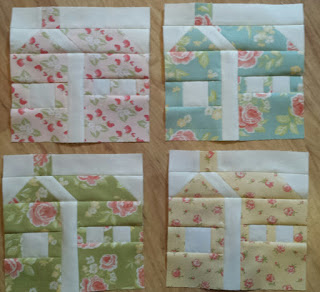 I don't know if that is why it worked, or if it was my awesome pinning job, but there were no tucks and no stretching. I didn't have enough of one color for this 21" x 21" wall hanging, so I pulled two fabrics from my stash and did a quick and easy pieced back. 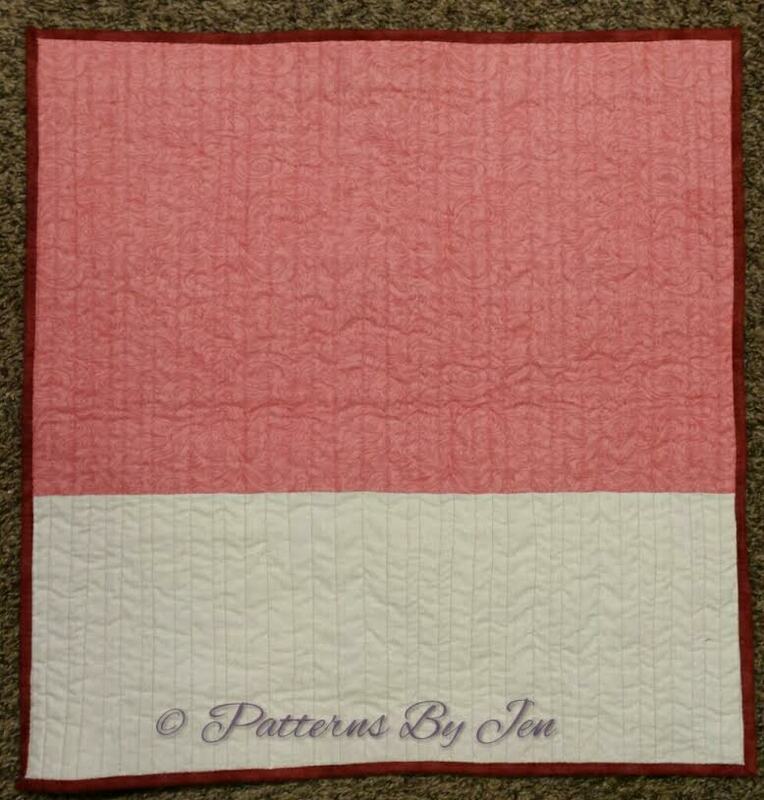 A pretty mauve/pink binding and we are done. It's so bright and simple and will make a great wall accent. 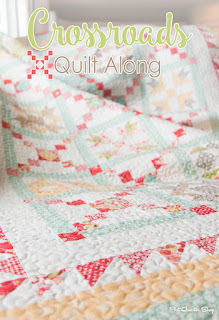 I have linked up with Crazy Mom Quilts and My Quilt Infatuation's Needle and Thread Thursday.